BAFTAS 2011: Helena Bonham-Carter takes the metal face for the Best Supporting Actress, received for The King’s Speech. Outside London’s Royal Opera House, it’s raining. Will the mask make a decent umbrella? Or will it have stopped raining by the time Bonham-Carter ends her acceptance speech? 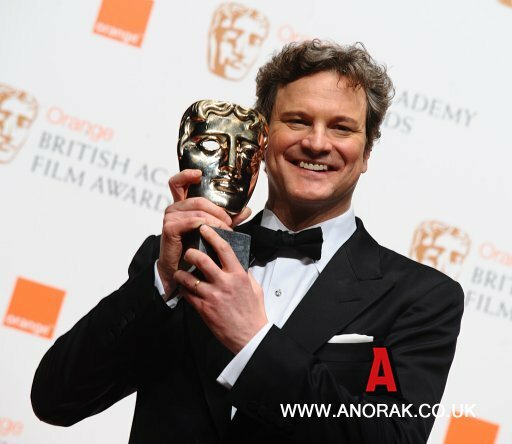 Colin Firth with the Best Actor Award for The King's Speech, in the press room at the 2011 Orange British Academy Film Awards, The Royal Opera House, Covent Garden, London.